Right messages in the right place at the right time. Every marketer’s dream come true. Not all your customers are the same. New Video Insight Tool for target marketing allows you to gather valuable demographic information about your customers. The clever built in software and a small facial recognition camera automatically serve up content based on the gender or other variables of the audience in front of the screen. Nail polish for women, shaving cream for men! Pokemons for teens, reading glasses for grannies! Now you know who’s watching and when! 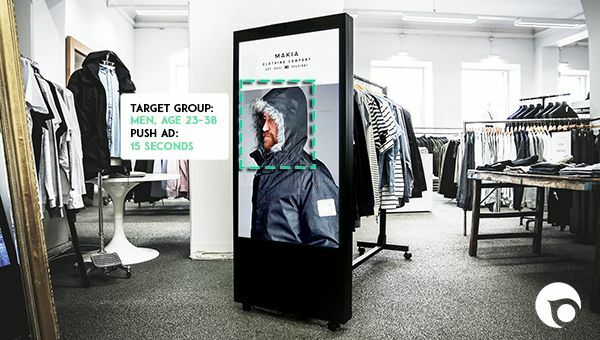 Targeted content keeps the messages relevant for the customer, activate impulse buying, and create better customer experiences. The Video Insight Tool collects useful data anonymously and all the while respecting the customer’s privacy.